For nearly every man in World War I who endured the dangers and hardships of camp, shore and battlefront there was a woman serving at home to help make possible America' victory - his wife, mother, sister, daughter or granddaughter. The war was born, and the men and women of the armed forces banded together in The American Legion to carry forward their services to the country in peacetime. It was only natural that the women of their families should desire to continue to serve them. The result was the American Legion Auxiliary, the largest and most influential woman's organization of its kind in the world today. 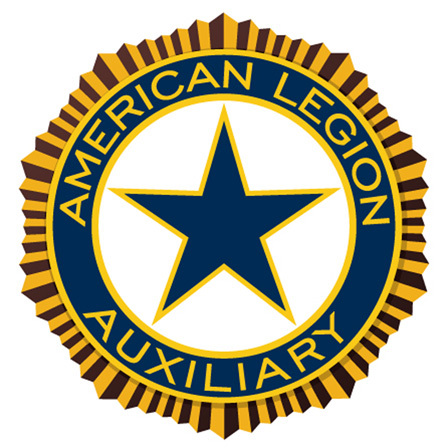 The establishment of an Auxiliary to The American Legion was provided for by the first National Convention of The American Legion in 1919. By the time of the 1920 National Convention, 1,342 local Units of the Auxiliary had been formed; intensive organizational efforts were authorized. The first National Convention of the Auxiliary was held in Kansas City, Missouri, in 1921. At the time the name "American Legion Auxiliary: was adopted and the first national officers elected. The Auxiliary grew from a first year enrollment of 121,000 to approximately 500,000 at the beginning of World War II. After the women of World War II families became eligible, the enrollment rose rapidly to a record of 1,1001,545 in 1955, and has since remained well above the 900,000 mark. The number of local Units of the Auxiliary, i.e. local, state and national, parallels that of The American Legion. Auxiliary National Headquarters is located in Indianapolis, Indiana.